mayhem! | i r kiamsiap! 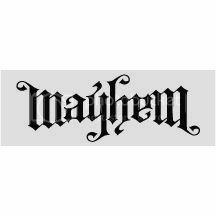 This entry was posted in art and tagged ambigram, awesome, logo, mayhem, rotational ambigram. Bookmark the permalink. @bigcityb: new office is inspiring! faster come by!